The New York Times bestselling author of The Girl Who Chased the Moon welcomes you to her newest locale: Walls of Water, North Carolina, where the secrets are thicker than the fog from the town’s famous waterfalls, and the stuff of superstition is just as real as you want it to be. It’s the dubious distinction of thirty-year-old Willa Jackson to hail from a fine old Southern family of means that met with financial ruin generations ago. The Blue Ridge Madam—built by Willa’s great-great-grandfather during Walls of Water’s heyday, and once the town’s grandest home—has stood for years as a lonely monument to misfortune and scandal. And Willa herself has long strived to build a life beyond the brooding Jackson family shadow. No easy task in a town shaped by years of tradition and the well-marked boundaries of the haves and have-nots. But Willa has lately learned that an old classmate—socialite do-gooder Paxton Osgood—of the very prominent Osgood family, has restored the Blue Ridge Madam to her former glory, with plans to open a top-flight inn. Maybe, at last, the troubled past can be laid to rest while something new and wonderful rises from its ashes. But what rises instead is a skeleton, found buried beneath the property’s lone peach tree, and certain to drag up dire consequences along with it. For the bones—those of charismatic traveling salesman Tucker Devlin, who worked his dark charms on Walls of Water seventy-five years ago—are not all that lay hidden out of sight and mind. Long-kept secrets surrounding the troubling remains have also come to light, seemingly heralded by a spate of sudden strange occurrences throughout the town. Now, thrust together in an unlikely friendship, united by a full-blooded mystery, Willa and Paxton must confront the dangerous passions and tragic betrayals that once bound their families—and uncover truths of the long-dead that have transcended time and defied the grave to touch the hearts and souls of the living. 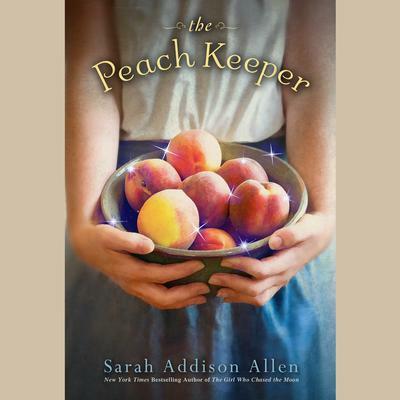 Resonant with insight into the deep and lasting power of friendship, love, and tradition, The Peach Keeper is a portrait of the unshakable bonds that—in good times and bad, from one generation to the next—endure forever. From the Hardcover edition.